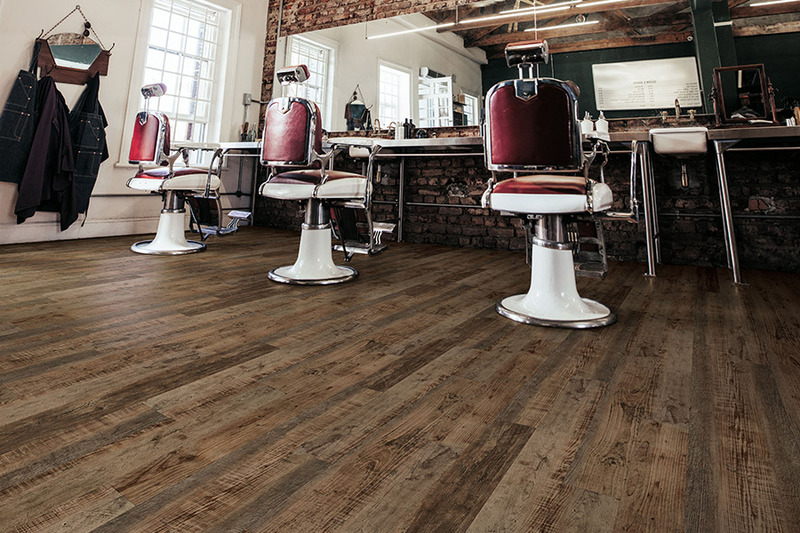 If you’re looking for a floor covering that is as versatile as your own needs, then you’ll definitely want to check out vinyl flooring. With many brands, styles and designs to choose from, you’re sure to find the perfect complement to any decor. 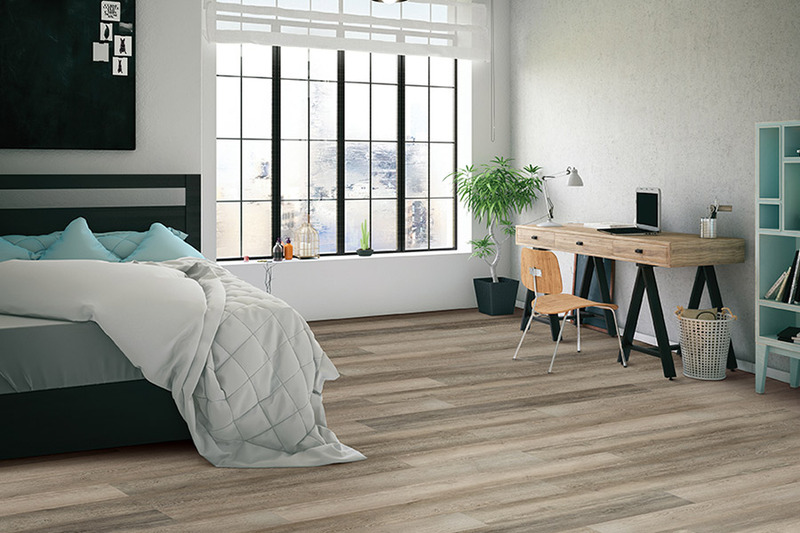 From the kitchen to the bedroom and everything in between, this flooring is a big hit, with benefits that make it well worth a second look. You might find yourself wondering how you’ve lived without it all this time. At Carpet Outlet Inc., we strive to make customer satisfaction our number one priority, locally owned and operated in the heart of Lugoff, SC, we serve the areas of Camden, Blythewood South Carolina, Northeast Columbia, Lugoff, and Winnsboro. We’d love the opportunity to serve you, so stop by at your convenience. We look forward to showing you the same expertise, products and services that have made us a go-to flooring store in our area for years. There are many kinds of vinyl flooring available. Sheet flooring, for instance, has the featured benefit of having no seams when installed wall-to-wall. That means your floors will be virtually waterproof if something is spilled, because there will be no point of entry for the fluid to reach the backing material. Luxury vinyl flooring is a very popular flooring that works well in any setting. 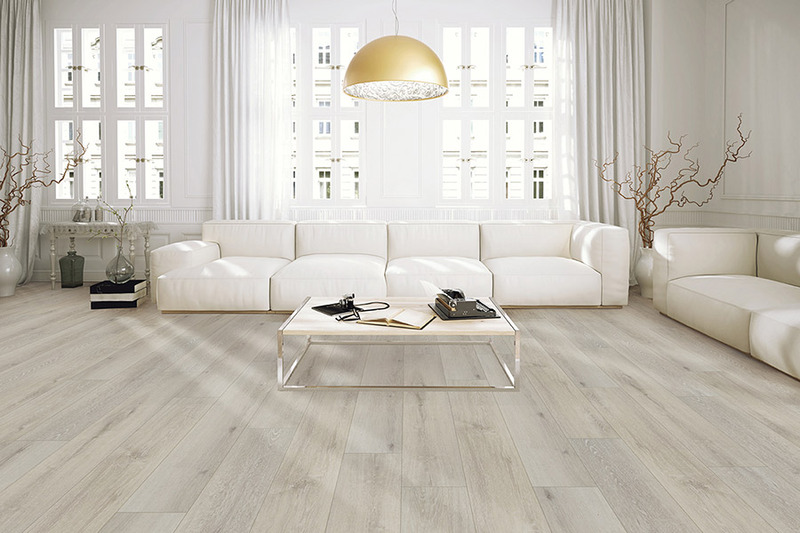 You can choose from a variety of looks, but the most popular is the wood-look flooring. It does a great job of mimicking the solid wood look, right down to the graining patterns, the stain color and type of finish you choose. 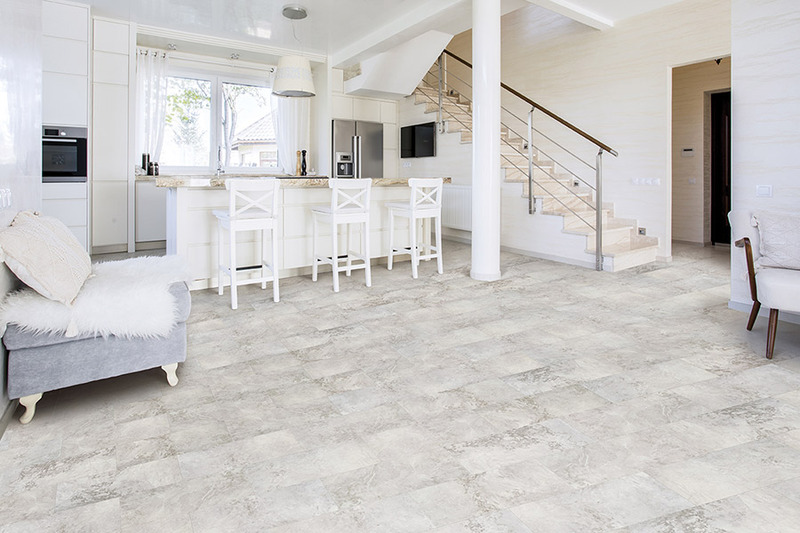 You can also choose LVF that looks like all natural stone and porcelain tile. LVF can also come in a waterproof option that can even withstand flooding conditions. 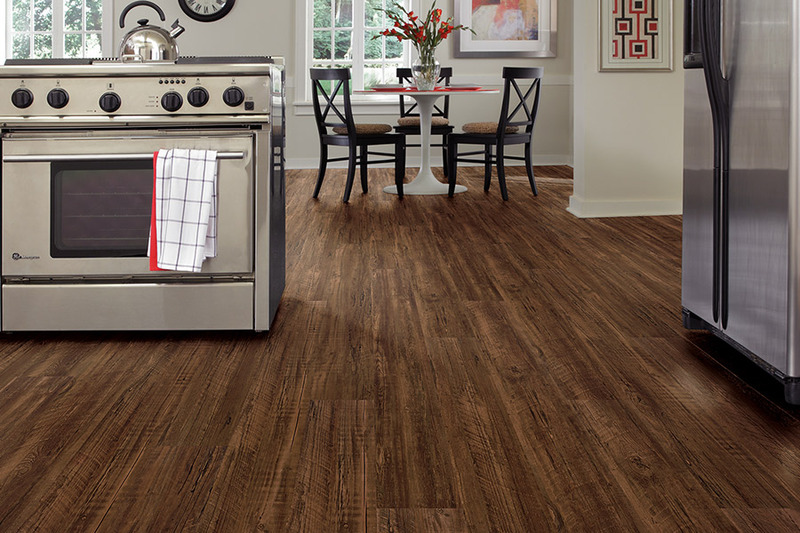 The vinyl core means there’s nothing to be affected by moisture, spills or submersion, and it provides wonderful peace of mind in addition to everything else.Vinyl flooring is one of the easiest floor coverings to install. Your installers can complete the job quickly and easily, so that you’ll be able to walk on your new floors right away. You won’t have to worry about relocating your family or your pets during the installation process either, as it’s a very safe procedure. Finally, once they become dirty, you’ll find cleanup is quick and easy as well. In fact, sweeping and mopping these floors on a regular basis, will keep them looking showroom-new for years to come.